The opioid addiction epidemic continues to increase in fatalities each and every year. The use of opioids tripled between 2010 to 2014 and opioid overdoses occur every 19 minutes, according to the most recent surgeon general’s report. However, all the news about the opioid epidemic overshadowed the second deadliest drug in the United States. What is it, you ask? That’s right. The popularity of cocaine has not dwindled in the midst of the opioid epidemic. People are doing it, and doing lots of it. In fact, a recent CDC report revealed that heroin and cocaine are the drugs most frequently involved in overdose deaths in the US. 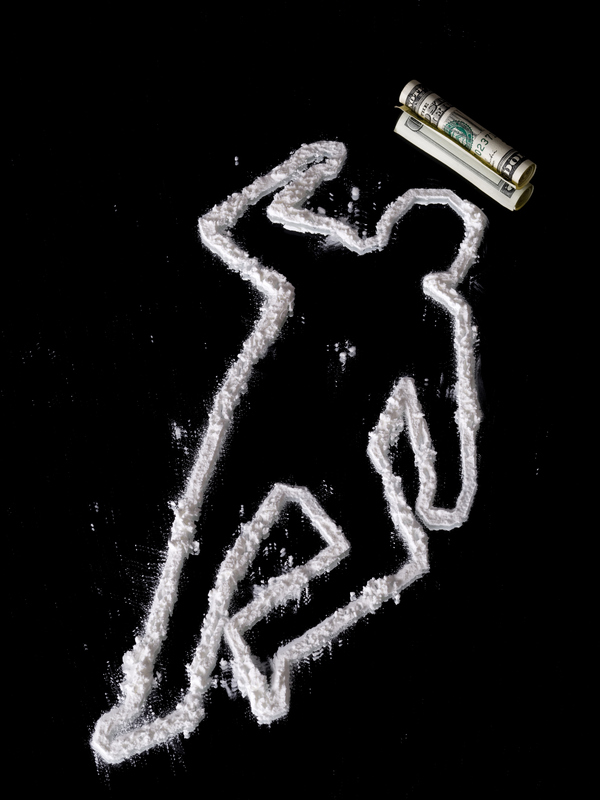 An analysis from U.S. News and World Report revealed that cocaine is the second most common drug involved in fatal overdoses. Nevertheless, do not be fooled by these statistics. Opioids are much more deadly than cocaine and have a strong lead in comparison. While heroin was responsible for 10,863 deaths in 2014 (23.1%), cocaine was responsible for 5,856 deaths (12.4%). To gather the results, researchers looked at data from death certificates where medical examiners and coroners rule on the cause of death. “The method was applied to provide a more in-depth understanding of the national picture of the drugs involved in drug overdose deaths,” the researchers wrote. In addition to revealing the amounts of deaths, the data showed how the prevalence of heroin deaths have increased significantly, while cocaine deaths have remained for the most part stable. For example, in 2010, heroin caused 3,020 fatal overdoses. Only four years later, in 2014 that number tripled to 10,863 deaths. Yet, cocaine stayed relatively stable. In 2010, cocaine deaths were at 4,312 and rose to 5,856 deaths in 2014. Other drugs that saw dramatic increases were antianxiety medications (4,212 deaths) and fentanyl (4,200 deaths). Although these numbers serve a valuable purpose, researchers do caution comparing numbers across years because increased reporting and detection can skew results. Another important part to note is that 49% of these overdose drugs involved more than one drug, according to 2014 data. Most of the time, overdose deaths involve more than one substance so the numbers could coincide with one another. Overall, the number of overdose deaths increased by 23%, rising from 38,329 in 2010 to 47,055 in 2014. Although drugs other than opioids contributed to the rising overdose rates, the data confirm that opioids have a massive impact on overdose death rates. “The most frequently mentioned drugs involved in these deaths were the opioids: heroin, oxycodone, methadone, morphine, hydrocodone, and fentanyl,” researchers wrote. In addition to data about specific drugs, researchers called for more accurate data on overdose deaths to be kept. In the future, they would like a more detailed analysis on these increasing drug overdoses. “The report also demonstrates the ability of a new method for abstracting data from the death certificate to enhance national monitoring of drug overdose deaths, and it emphasizes the need to include specific drugs involved in the death on the death certificate,” said the researchers. Whether it is cocaine or opioids like heroin or oxycodone, the epidemic is resulting in massive fatalities. With the new year right around the corner, the time is now to make a change. Your past should not dictate your future. We are here to guide you in the right direction. If you are struggling with drugs or mental illness, do not wait. Call toll-free today.